Ali Adds Nine More to UPSL Roster | Philadelphia Lone Star F.C. 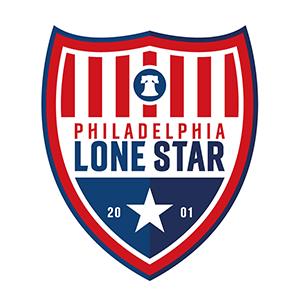 PHILADELPHIA, April 9, 2018 – After announcing his first 11 signees last week, Junior Lone Star II head coach Bobby Ali has added more young star-studded talent to his 2018 United Premier Soccer League (UPSL) roster. Ali enhanced his roster with three more defenders, three midfielders, two forwards and a goalie. Included are Damani Binda, Martin Dempster, Elijah Ema, Jehbleh Wilson Jah, Boubacar Keita, Terry Kemokai, Hassan Kone, Kanibah Kutu-Akoi, and Marcel Toure. Binda, Jah, and Toure are all new players while the rest are returnees from last year’s successful under-23s season. JLS II’s inaugural season in the UPSL begins on April 14 against Upper Darby FC at the Ardmore Elementary School in Lansdowne, PA. Kick off is at 5:00pm EST. JLS II will then welcome NJ Teamsters FC in our Home Opener on Saturday, April 21 at the Monsignor Bonner High School Stadium in Drexel Hill, PA. Kick off is slated for 3:00pm. For the full schedule and detailed information for JLS II, please visit www.juniorlonestarfc.org/second-team.